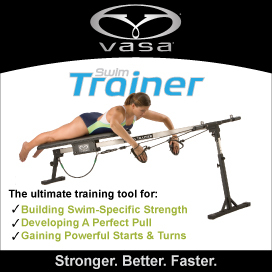 Research shows that hand force is directly related to swimming velocity – if you generate more force, you swim faster. 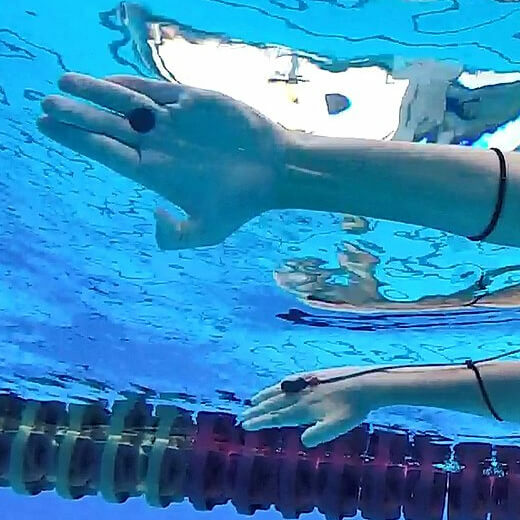 Aquanex measures hand force so swimmers can see how to make technique changes to generate more force and go faster. Valuable data is generated instantly upon completion of a trial. Pinpoint technique strengths and weaknesses with hand force data and synchronized video. Automatically calculate yards or meters per second after each trial. Increase cycles per second over multiple trials to determine skill mastery. The active drag coefficient (Cd) is the overall best measure of a swimmer’s technique. The more effective the technique, the lower the Cd. Make the most of every stroke. 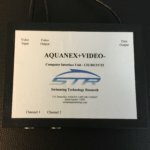 It only takes about 10 minutes to set up an Aquanex system. 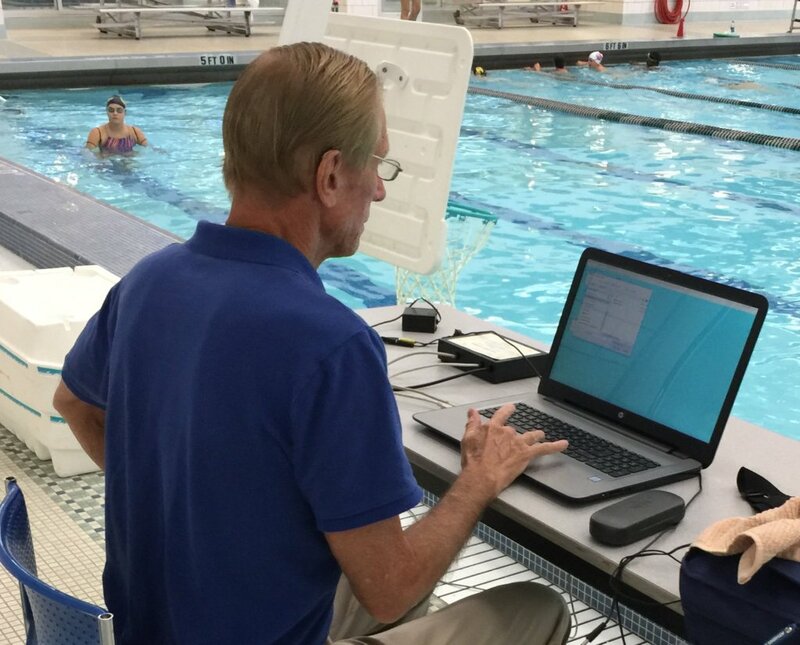 Each swimmer can be tested on all four strokes in less than 10 minutes. The video and force data is captured and displayed on the computer screen in real-time. Calculated performance variables are instantly available when the swimmer hits the wall. 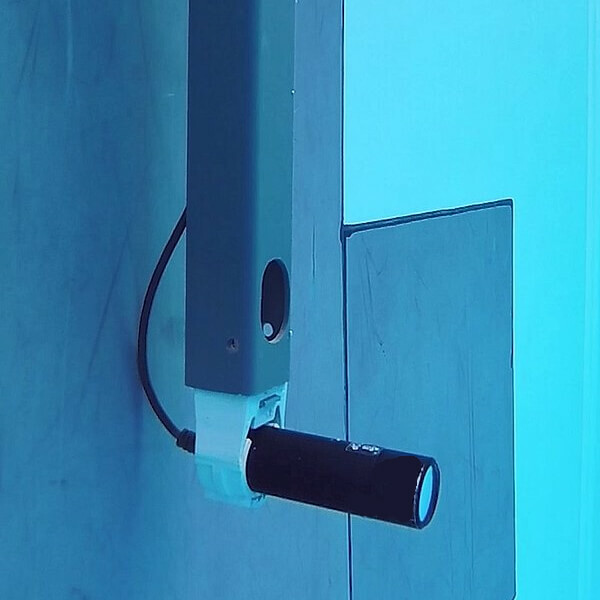 The standard Aquanex system includes an underwater camera, camera mounting bracket, two hand sensors, computer interface, Aquanex software and manual. Aquanex software is compatible with Windows XP, 7, 8 and 10. View detailed specifications. Identify changes to swim faster. Reliable, quantitative data reveals technique strengths and limitations. Arm entry data can be used to help minimize shoulder stress and injury. 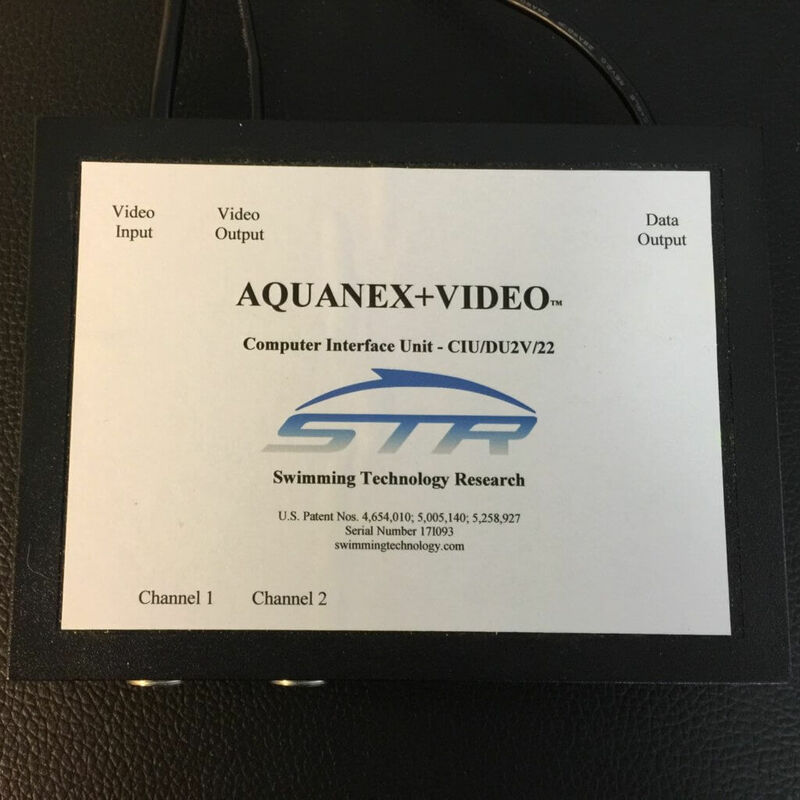 Aquanex is the only technology that combines hand force and video in real time for a complete technique analysis. Feedback makes it possible for swimmers to view changes in hand path or pitch, bilateral differences, force losses or wasted motion. Get trained to interpret force data by attending an STR SpeedWeek or in 1:1 consultation sessions with Dr. Havriluk. Other configurations are available for aquatic applications. Aquanex has been used for analysis in rowing, surf paddling, physical therapy and more. View sensor types.